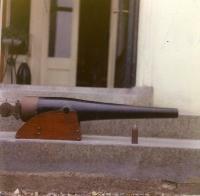 A ”Palliser Gun” and shot photographed at the front doorway of Annestown House. These were invented by Sir William Palliser of Comeragh House, County Waterford in 1863. 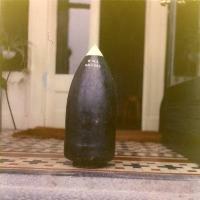 A ”Palliser Shot” photographed at the doorway of Annestown House. This shell was invented in 1863 by Sir William Palliser of Comeragh House, Co. Waterford. A Palliser shot is a type of anti-personnel, armour-piercing ammunition, hardened by casting the projectiles point downwards and forming the heads in an iron mold. This process rapidly chilled the hot metal of the nose and made it intensely hard. The remainder of the projectile mold was formed of sand, allowing the metal of the shell body to cool more slowly, making it tough but not brittle. These shells were powder-filled, but did not use a fuse. Instead, they relied upon the shock of striking the target to set off the burster. These shells were effective against wrought iron armor, but shattered against steel armor. A portrait of John Palliser (January 29, 1817 -August 18, 1887) photographed at B. Fermanelli Studio, Rome. 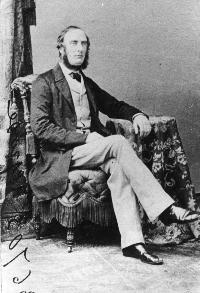 Palliser was an Irish-born geographer and explorer. Born in Comeragh, County Waterford, Ireland to Colonel Wray Palliser. From 1839 to 1863, John Palliser served in the military and became a Captain in the Waterford artillery. He was also Sheriff of Waterford. His first hunting expedition was in 1847 in the American West. A portrait of Colonel Wray Palliser, Comeragh House, County Waterford. He was photographed at M. Bowness Studio, Ambleside, Cumbria, England. A portrait of John Palliser (January 29, 1817 -August 18, 1887) photographed at an unknown studio. Palliser was an Irish-born geographer and explorer. Born in Comeragh, County Waterford, Ireland to Colonel Wray Palliser. From 1839 to 1863, John Palliser served in the military and became a Captain in the Waterford artillery. He was also Sheriff of Waterford. His first hunting expedition was in 1847 in the American West. 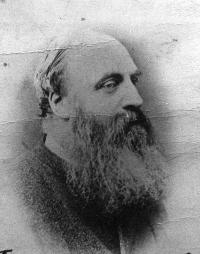 Frederick Hugh Palliser (1826 - 1883) photographed at an unknown location. 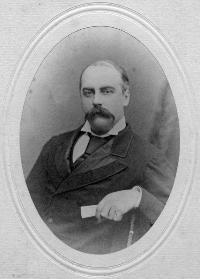 Frederick was the son of Wray Palliser, Comeragh House, County Waterford. 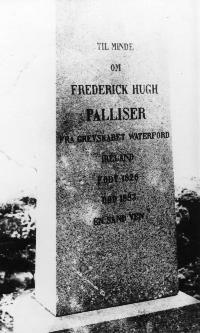 The tombstone of Frederick Hugh Palliser. A portrait of Sir William Palliser (1830 -1882), soldier and inventor photograped at an unknown photographic studio. He was interested in rifled ordnance and projectiles and was the inventor of ”Palliser shot”. He was the fifth and youngest son of Wray Palliser, Comeragh House, Co. Waterford. A portrait of John Palliser (January 29, 1817 - August 18, 1887). 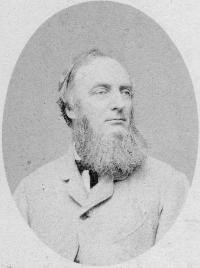 Palliser was an Irish-born geographer and explorer. Born in Comeragh, County Waterford, Ireland to Colonel Wray Palliser. From 1839 to 1863, John Palliser served in the military and became a Captain in the Waterford artillery. He was also Sheriff of Waterford. His first hunting expedition was in 1847 in the American West. A portrait of Sir William Palliser (1830 -1882), soldier and inventor. He was interested in rifled ordnance and projectiles and was the inventor of ”Palliser shot”. He was the fifth and youngest son of Wray Palliser, Comeragh House, Co. Waterford. 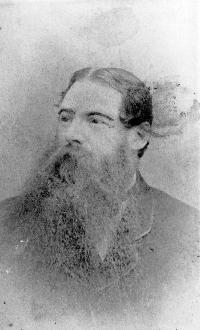 A photograph of a painting of John Palliser. 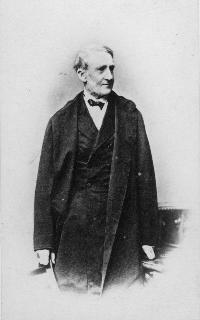 John Palliser (January 29, 1817 - August 18, 1887) was an Irish-born geographer and explorer. Born in Comeragh, County Waterford, Ireland to Colonel Wray Palliser. From 1839 to 1863, John Palliser served in the military and became a Captain in the Waterford artillery. He was also Sheriff of Waterford. His first hunting expedition was in 1847 in the American West. 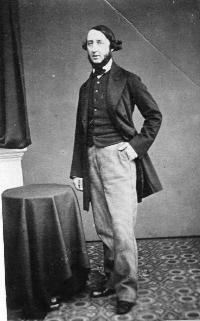 John Palliser (January 29, 1817 - August 18, 1887) photographed at an unknown studio. 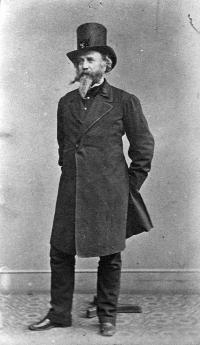 Palliser was an Irish-born geographer and explorer. Born in Comragh, County Waterford, Ireland to Colonel Wray Palliser. From 1839 to 1863, John Palliser served in the military and became a Captain in the Waterford artillery. He was also Sheriff of Waterford. 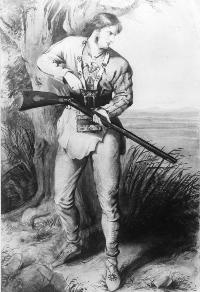 His first hunting expedition was in 1847 in the American West. 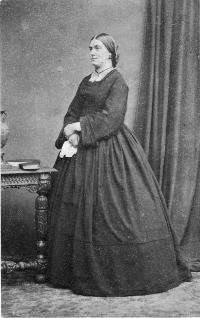 A portrait of Grace Fairholme (nee Palliser) photographed at an unknown photographic studio.